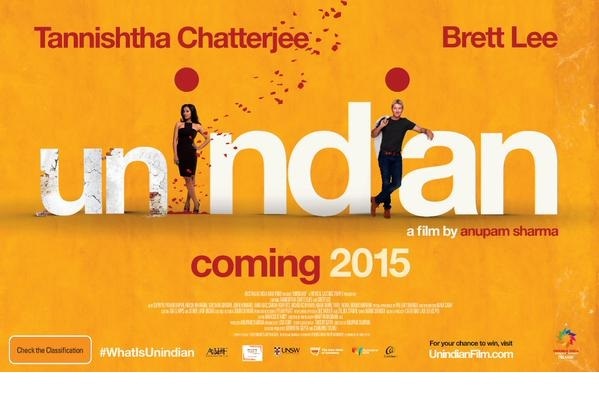 The first Indo-Australian film unINDIAN, featuring Australian cricketer Brett Lee and Tannishtha Chatterjee, directed by Anupam Sharma, has been selected to screen at the prestigious Montreal World Film Festival where the film will have its World Premiere. The film has also been picked up by the Scandinavian boutique international sales agent Yellow Affair. Yellow Affair will launch sales with a major presence for the film at the Toronto Film Market. unINDIAN stars Brett Lee and acclaimed Indian actress Tannishtha Chatterjee in a charming cross cultural romantic comedy with a lot of heart and a little bit of spice. The film also stars John Howard, Tiriel Mora, Maya Sathimoorthy, Arka Das, Sarah Roberts, Adam Dunn, Nicholas Brown, Kumud Merani, Supriyaji Pathak Kapur, Akash Kurana and Gulshan Grover, with a special appearance by Pallavi Sharda. The film is produced by Anupam Sharma and Lisa Duff, from a story and screenplay by Thushy Sathi, with executive producers Devendra Gupta and Chandru Tolani. unINDIAN follows the chequered path of Aussie bloke Will as he attempts to woo Meera, a beautiful Indian single mother living in Sydney. Meera finds it hard to resist the tall blonde man with a charming smile, but her family has other ideas in mind, as falling in love with an Australian is not only scandalous – it’s un indian! unINDIAN will then be released in Australia on 90+ screens on October 15, with gala premieres held in each city with the support of strategic partners Destination NSW, University of NSW, Cochlear and Guvera Music. The first red carpet will be in Sydney on October 7 at Hoyts Entertainment Quarter. The Australia India Film Fund was established by Sydney entrepreneurs Devendra Gupta to produce India-centric Australian feature films, television and documentaries for the international market. 15 queries in 1.169 seconds.